Don’t let the holidays get you stressed about what to feed everyone! 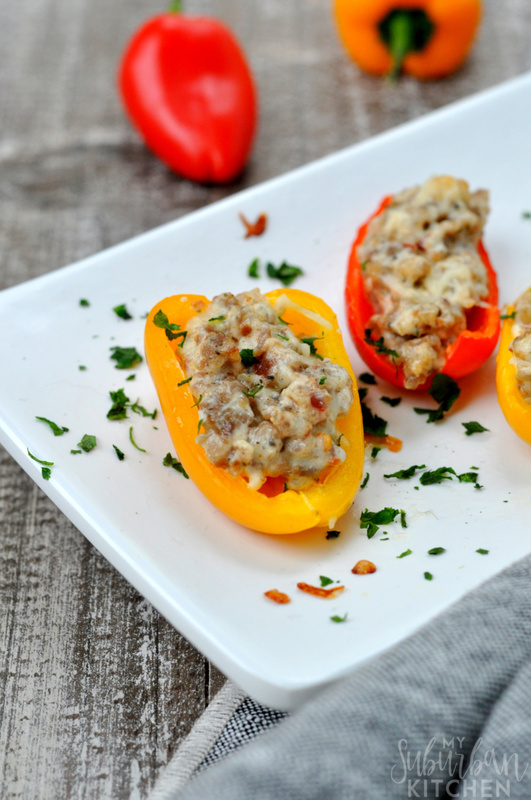 Make these delicious Sausage Stuffed Mini Peppers for a crowd-pleasing appetizer that is low on work and high on flavor. We love entertaining for the holidays, but the stress of what to serve can be a little much sometimes. 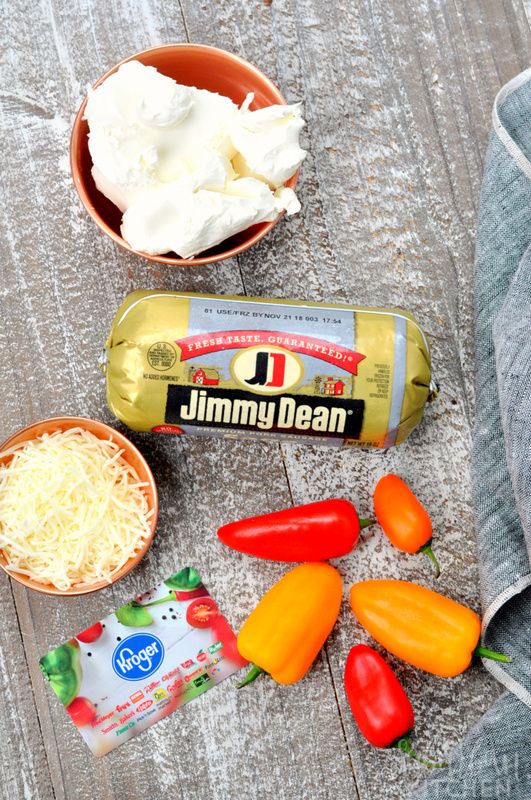 With just a few ingredients, including Jimmy Dean® sausage, you can make these Sausage Stuffed Mini Peppers quickly and easily. Everyone will be begging for more from the moment they take the first bite, making this appetizer a holiday (or anytime) win. 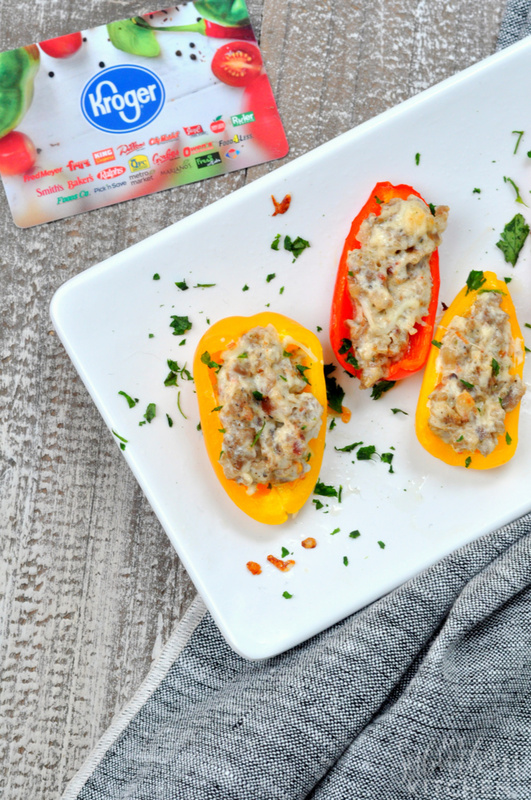 This stuffed mini peppers recipe is so easy because it only takes a few easy-to-find ingredients. 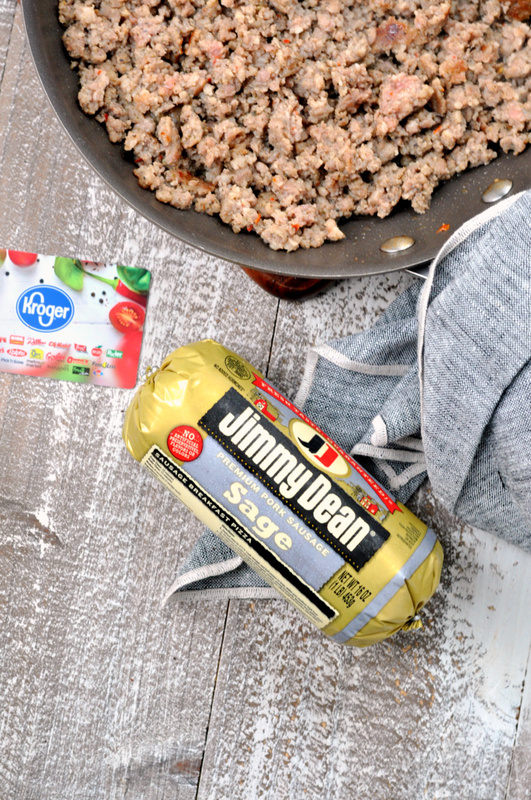 I can always get the Jimmy Dean® sausage and other ingredients from our local Kroger store. BBeing able to find everything I need in one store takes away a ton of stress surrounding prepping for holiday entertaining. Plus, I know I am getting a great value on high quality ingredients from Kroger so I feel better about my purchases. I specifically chose the sage flavor of the Jimmy Dean® Sausage Roll. However, you can easily use any of the Jimmy Dean® Sausage varieties for this recipe. Each of the sausage roll options offers a signature blend of spices that can't be surpassed. 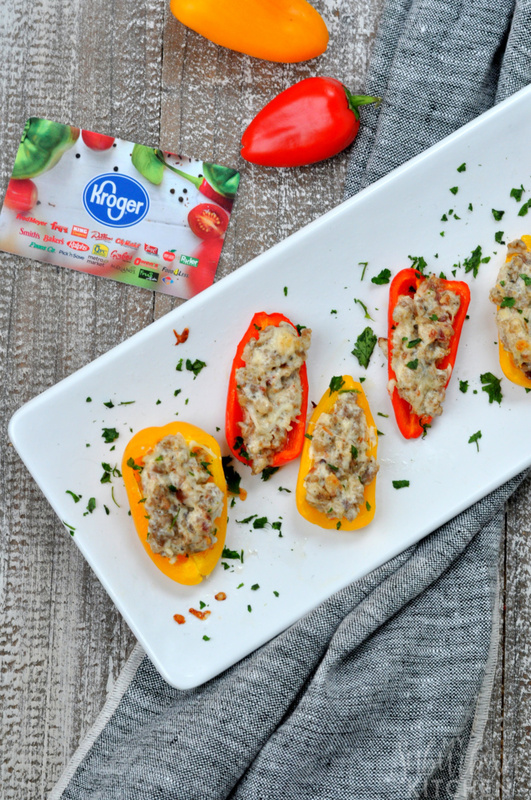 Using mini sweet peppers for this recipe makes them so easy to eat, too. You won't need to supply any utensils for your guests as they are small enough to just pop into your mouth. Whatever combination you choose, these stuffed sweet peppers are guaranteed to be a crowd pleaser each and every time you serve them. One other thing about this stuffed sweet peppers recipe that makes it so party perfect is the ability to do a lot of the prep in advance. You can cook the sausage and mix with the cheese in advance. Then, just stuff the mini sweet peppers when you are ready to bake. Of course, you can also pre-cut the peppers in advance to make assembling the peppers super fast, too. 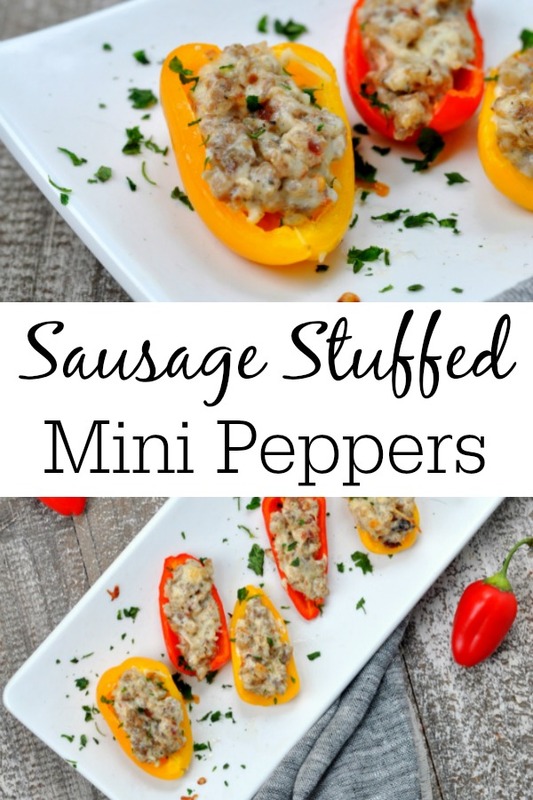 If you make these sausage stuffed sweet peppers or any other recipe from the blog, I’d love to hear about your experience. Let me know in the comments or snap a photo and tag it #MySuburbanKitchen on Instagram or Twitter. As you prepare for the holidays, be sure to stop by your local Kroger family store to get all the ingredients you need for successful entertaining! Plus, when you purchase participating Tyson products at Kroger family stores, Tyson Foods, Inc. will donate $1 to Feeding America®. Now, that's doing holidays RIGHT! 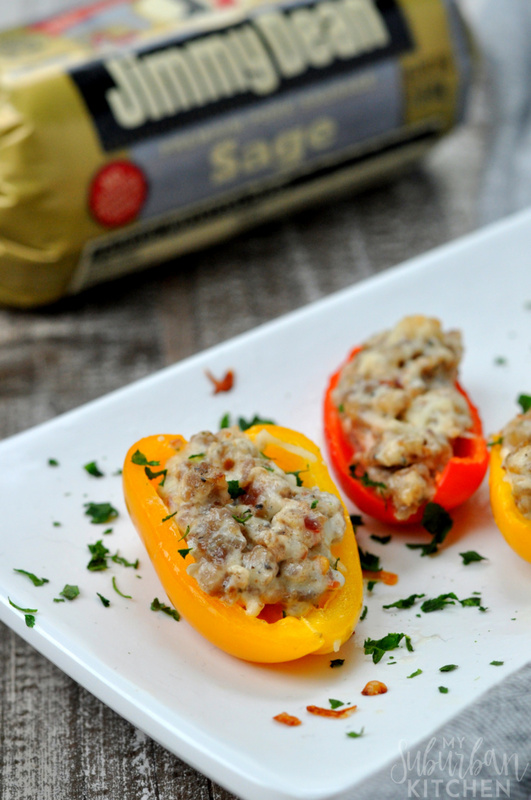 Sausage stuffed mini peppers are the perfect party appetizer. 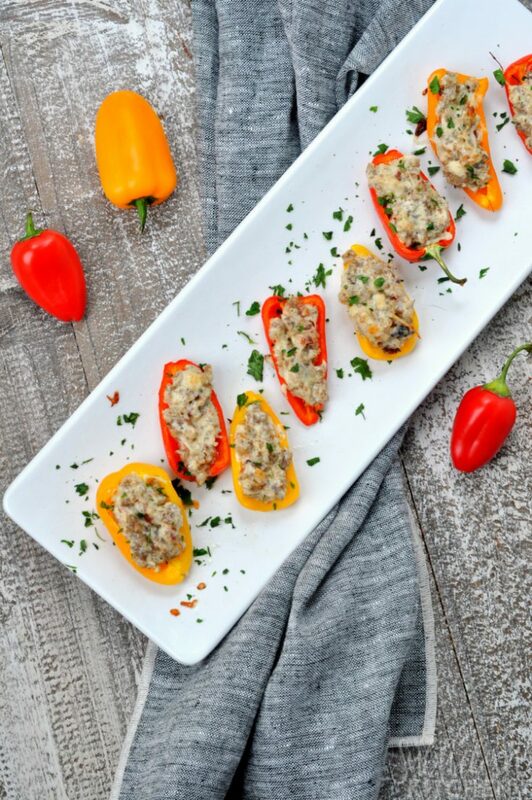 With just a few ingredients, you will have a yummy appetizer that is a winner at any event. Cook Jimmy Dean sausage in skillet over medium heat, stirring to crumble. Once sausage is cooked, add cream cheese and stir until combined. Remove from heat and stir in shredded cheese and bacon. Spoon sausage mixture into pepper halves and place on baking sheet. Bake in preheated oven for 10 minutes or until lightly browned. Before slicing peppers, lay on table or counter to determine which way to cut so the halves will lay flat. These peppers look so cute! What a fun appetizer, love the colors!